She was convicted for encouraging her boyfriend, Conrad Roy to commit suicide. Michelle Carter is an American citizen. She made national headlines after she was accused of encouraging her then long-distance boyfriend, Conrad Roy to commit suicide. He committed suicide by poisoning himself with carbon monoxide fumes in his truck on 13 July 2014. The Massachusetts Supreme Judicial Court ruled her appeal and sentenced her to 2.5 years in Prison but has to serve 15 months in prison with the balance suspended with criminal intent that she encouraged Roy to commit suicide. 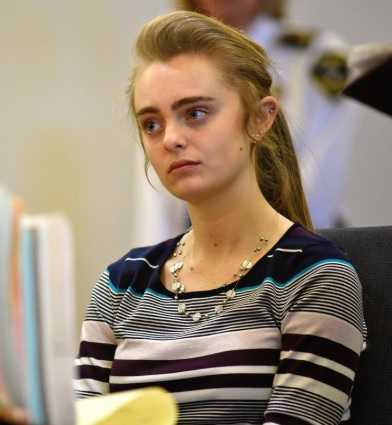 Her noted investigation and involuntary manslaughter trial, Commonwealth v. Michelle Carter in Massachusetts became popular as the "texting suicide case". Carter was convicted by a judge of involuntary manslaughter. She was sentenced to 2.5 years in prison but to serve 15 months in prison in accusations of encouraging her then-boyfriend, Conrad Roy to commit suicide. He committed suicide by poisoning himself at the age of 18. 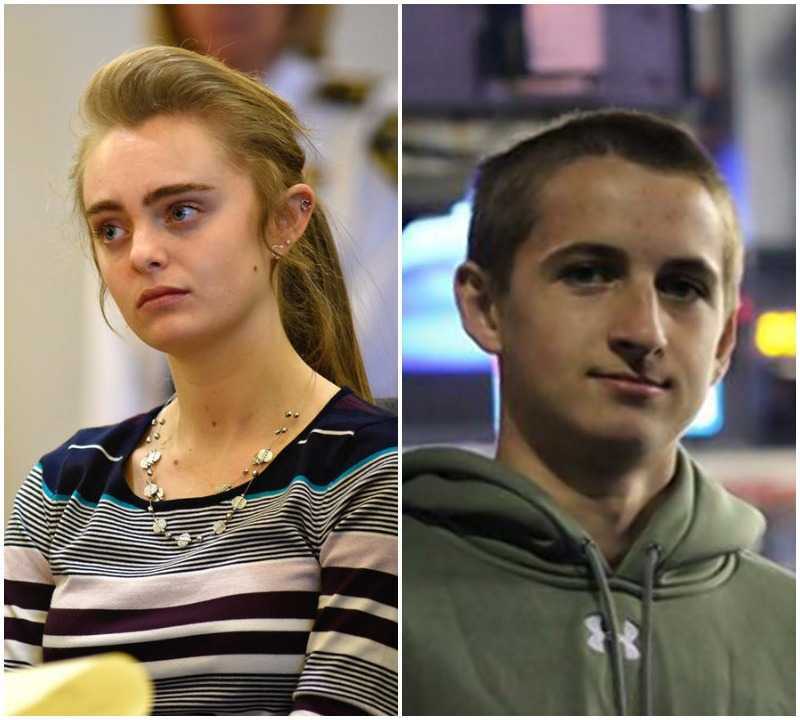 Read More: Who is Michelle Carter Boyfriend Suicide after Texting Messages? Michelle Carter was born on 11 August 1996. She was born to a father David Carter, and a mother Gail Carter. She was born in Plainville, Massachusetts in the United States. She holds American nationality. She attended Philip Regional High School, Wrentham. She had developed an eating disorder around the age of 8 or 9. Due to which, she may have injured herself by cutting. She was having prescribed psychiatric medication from the age of 14. She also attended counseling at McLean Hospital in Belmont. Michelle Carter met Conrad Carter on a family vacation in Florida in 2012. They both were in Florida visiting relatives. They became friends. Over the next three years, they met only a few times. They mostly exchanged texts and emails. They were in a long-distance relationship although they were only 35 miles apart from each other. Conrad was suffering from anxiety throughout his high school time. His father reportedly abused him physically, whereas his grandfather reportedly abused him verbally. Out of depression, he tried to kill himself earlier in 2012. Michelle at the time discouraged Roy not to kill himself. She also encouraged him to seek professional help. However, in 2014, she changed her attitude towards Roy. Roy and Carter were exchanging texts on 13 July 2014. Carter's attitude changed when she started thinking that it would be a "good thing to help him die". Roy then committed suicide. He poisoned himself with carbon monoxide fumes in his truck in the now-closed Kmart parking lot in Fairhaven, Massachusetts. His Memorial Mass was celebrated on 19 July 2014 at St. Anthony's Church in Mattapoisett. Michelle Carter was indicted on 4 February 2015. She was 17 years old at the time. On 5 February, she was arraigned at in New Bedford Juvenile Court on charges of involuntary manslaughter in Taunton, Massachusetts. The grand jury found enough to charge her with "wantonly and recklessly" assisting the suicide. She was 17 at the time. However, she has indicated a 'youthful offender' rather than a 'juvenile'. On 1 July 2016, the Massachusetts Supreme Judicial Court denied the appeal allowing the case to go forward. On 6 June 2017, Carter waived her right to jury trial on the day before trial. The Bristol County Juvenile Court of Massachusetts, Judge Lawrence Moniz found Carter guilty of involuntary manslaughter on 16 June 2017. He stated prior to his ruling that it was Carter's phone calls with Roy when he was in his truck gassing himself, as described by Carter's texts to friends, rather than the preceding text messages that caused him to go through with killing himself. On 3 August 2017, Judge Lawrence Moniz sentenced Carter to serve a two-and-a-half-year term with 15 months to be served in the Bristol County House of Corrections, the rest of the balance suspended and five years of probation to be served. Judge Moniz also granted the stay with conditions that she stay away from the Roy family upon her lawyers request to issue a stay of the sentence until all of Carter's Massachusetts court appeals options are exhausted. On 6 February 2019, the Massachusetts Supreme Judicial Court ordered her involuntary manslaughter conviction to stand as the court ruled that Carter acted with criminal intent when she encouraged Roy to commit suicide. She will face her 15-month prison sentence in the near future. However, the rest of the 2.5-year sentence was suspended, followed by five years of probation.